In the Kingdoms Battle: Revenge, points are earned for actions carried out in both your home and enemy Kingdoms. Any Jarl from the Kingdom can take part in the Kingdoms Battle: Revenge. Jarls who are Clan members can earn additional points for passing checkpoints in this Competition. 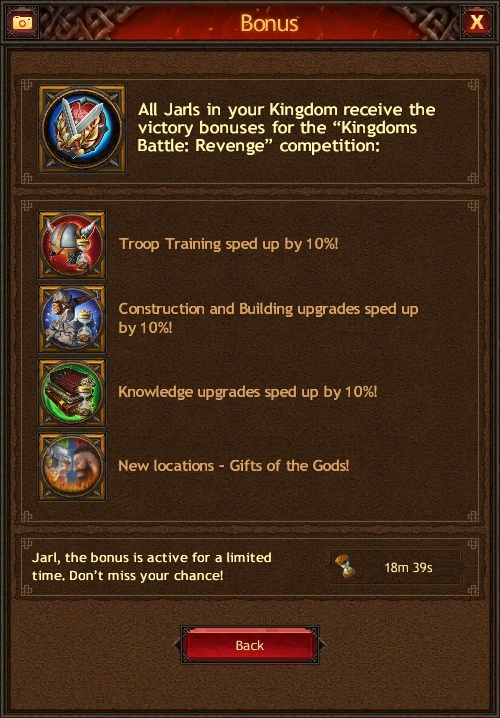 Jarls who are not Clan members can earn points for their Kingdom by completing Competition tasks. If you join a Clan after the Competition was announced in the Events window, points for personal and clan achievements will not be awarded, even if you complete all the necessary tasks. If you leave the Clan before the Competition is over, your personal achievements are canceled. 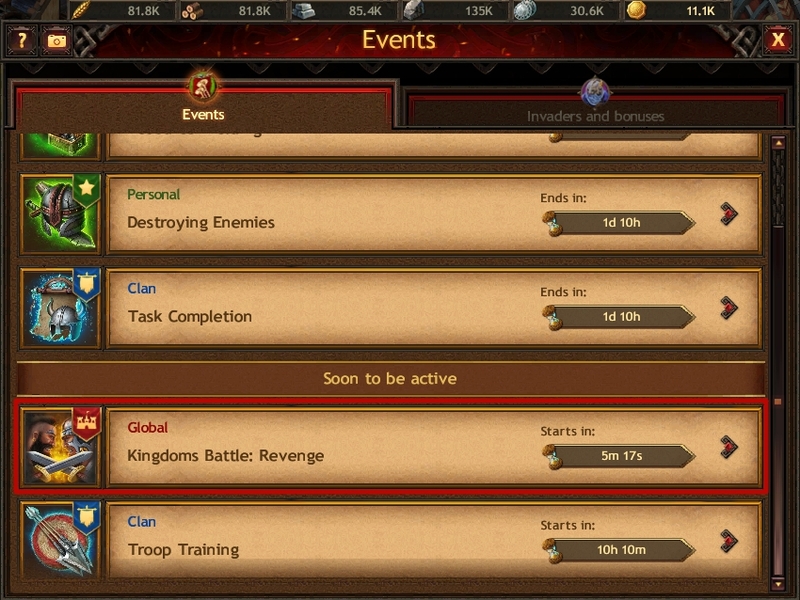 If you are not a Clan member when the Kingdom Battle commences, you will only be able to earn points for your Kingdom. Points for personal and clan achievements will not be awarded. If you move to another Kingdom after the Competition is announced, using the Drakkar or Novice's Relocation items, you will no longer be counted as a participant. 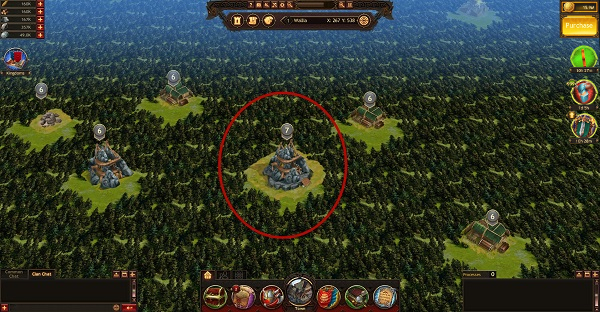 All your personal achievements will be canceled, and other Jarls will not earn points for attacking your Town. This means that you must be a Clan member when the Kingdoms Battle appears in the "Soon to be active" block in order to earn points for your personal and clan achievements.